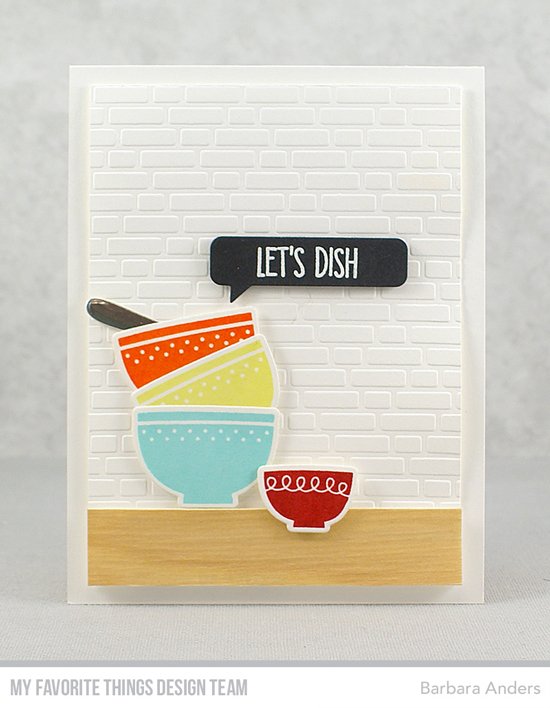 This challenge features Summer Splash, Banana Split, Electric Red and Orange Zest. Remember, you don't have to have the EXACT colors to play - just use colors inspired by the ones you see below. Congratulations DesperateCraftWife! You are the randomly selected winner of MFT Color Challenge 84. You can view all the entries from the last challenge HERE. 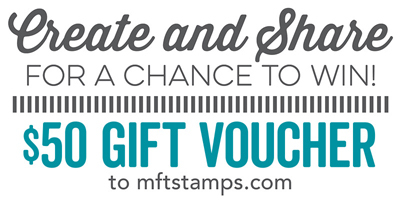 You have until Wednesday, January 24th at noon EST to add your link and be eligible for the prize of $50 in MFT Cash. Winners are chosen at random, so everyone has a chance! I ADORE these colors!!! 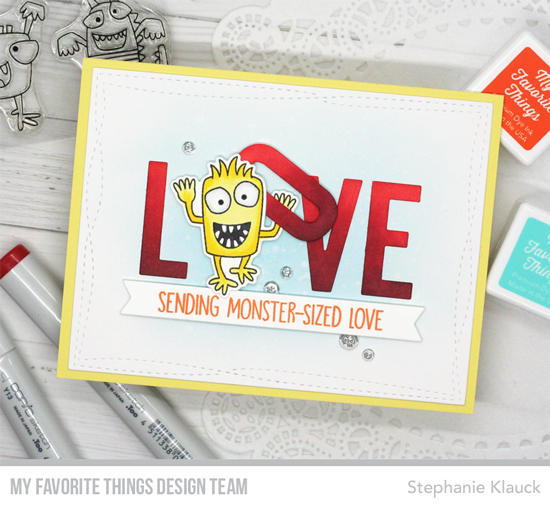 And Barbara's card makes my Pyrex-lovin' heart so happy, as well as Stephanie's cute monster!